Hello and Happy Friday! 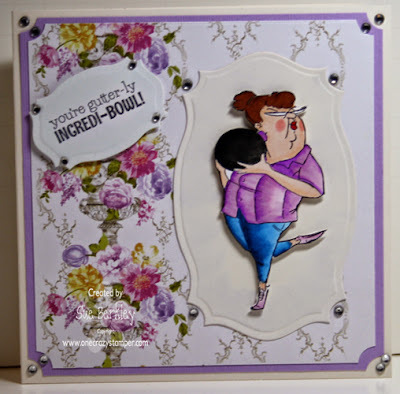 Today I have a fun tutorial to show you on how to use an "Action Wobble"! If you have never used one of these amazing craft tools this is a must try - but be forewarned - they are very ADDICTIVE! 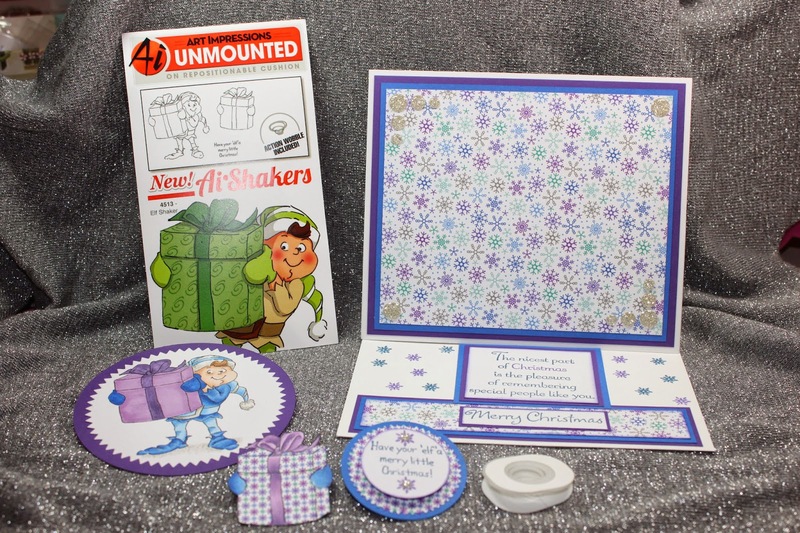 Once you start using these fun tools you will always be finding new ways to use them on cards or on your scrapbook pages! Today's project I decided to show you a set made by Art Impressions that sells the Action Wobbles with the stamp so that you may try them out and fall in love, or if you love the idea of the Action Wobbles you can also purchase them from the OCS Store in a 6 pack or 12 pack to start playing and enjoying all the fun! Below is a close up of my coloured image, the Wobble part of the present and the Action Wobble. As you can see I did not colour the present on the image the same as the Wobble present. The reason for this is that you will not see much of the background present so I coloured it in the darker hues to make it look like shadows instead, but you can colour it completely the same as the Wobble piece if preferred. I hope that you enjoyed today's tutorial and I really hope that you will try out these amazing Action Wobbles, you will not be disappointed. I would love to hear what you think! 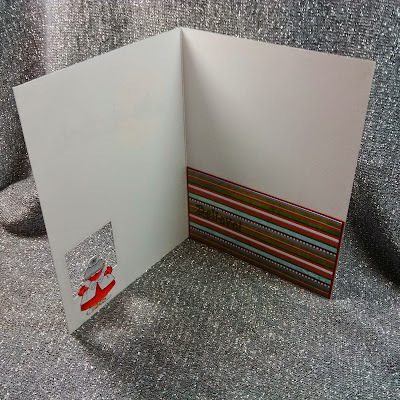 What - no Christmas card today!! 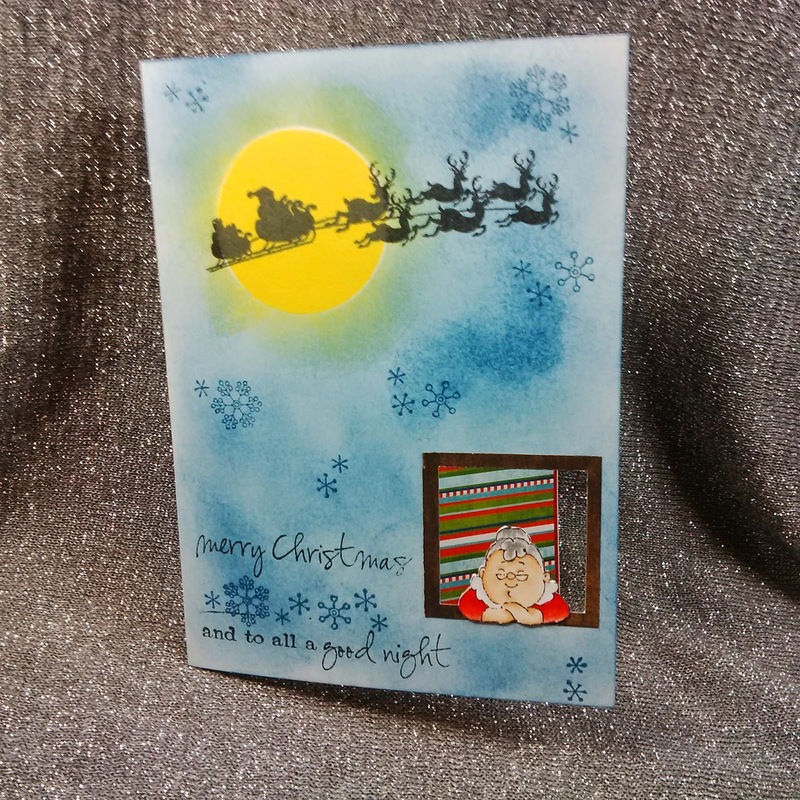 Nope, I decided to showcase a non holiday card today for One Crazy Stamper. My cards today showcase a great image for that special guy in your life - it's Stamping Bella's Uptown Guy Calvin Loves Computers﻿. 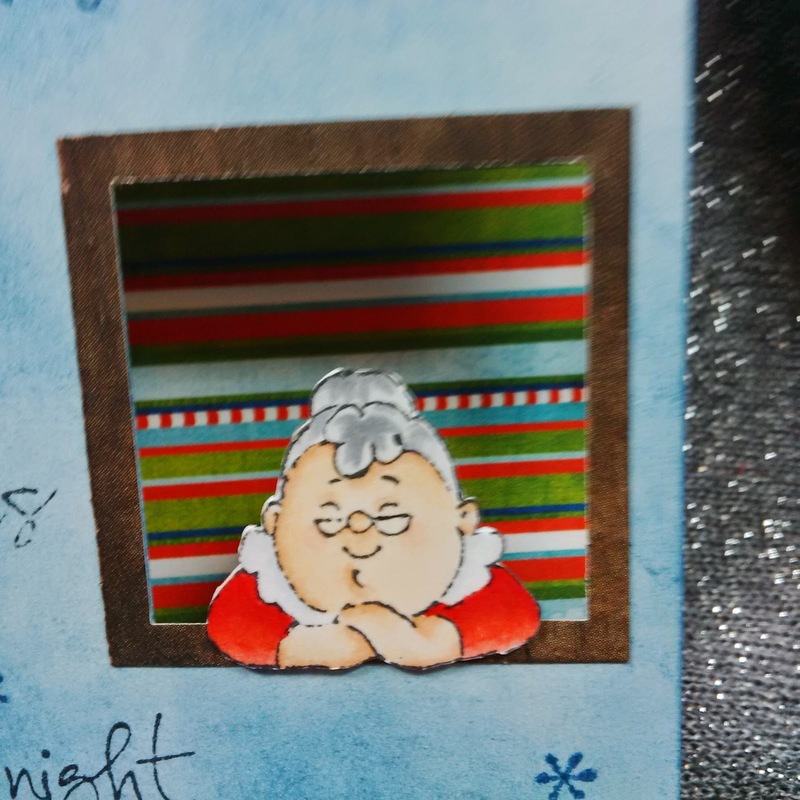 I stamped the image on Copic Xpress It cardstock with Memento Tuxedo Black ink, then colored with Copics. The sentiment comes with the image, and the dp is from my stash. 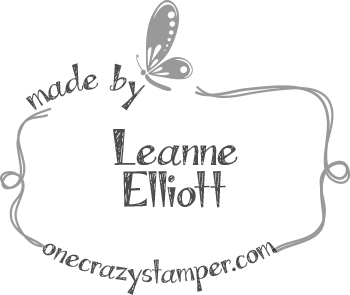 For today's post for One Crazy Stamper, I am using Antoine and Dog a cling rubber stamp from Wild Rose Studio. I didn't add a sentiment as the wording on the DP says it all. 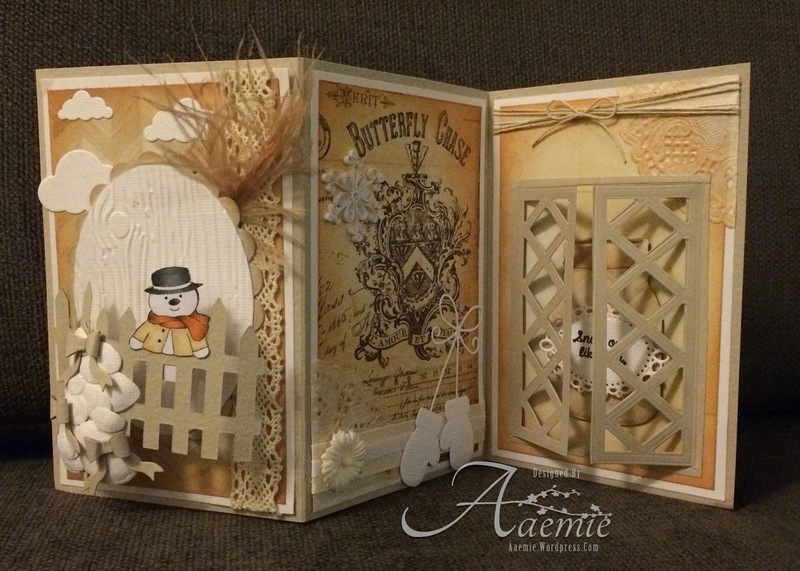 You still have a few days to enter this month's challenge "Anything Goes". For all your supplies check out Lora's OCS online as well as the brick and mortar store. Stay tuned for next Monday, December 1st as we will have a new challenge. Until then keep crafting, be happy and don't stress out at the speed Christmas is approaching. 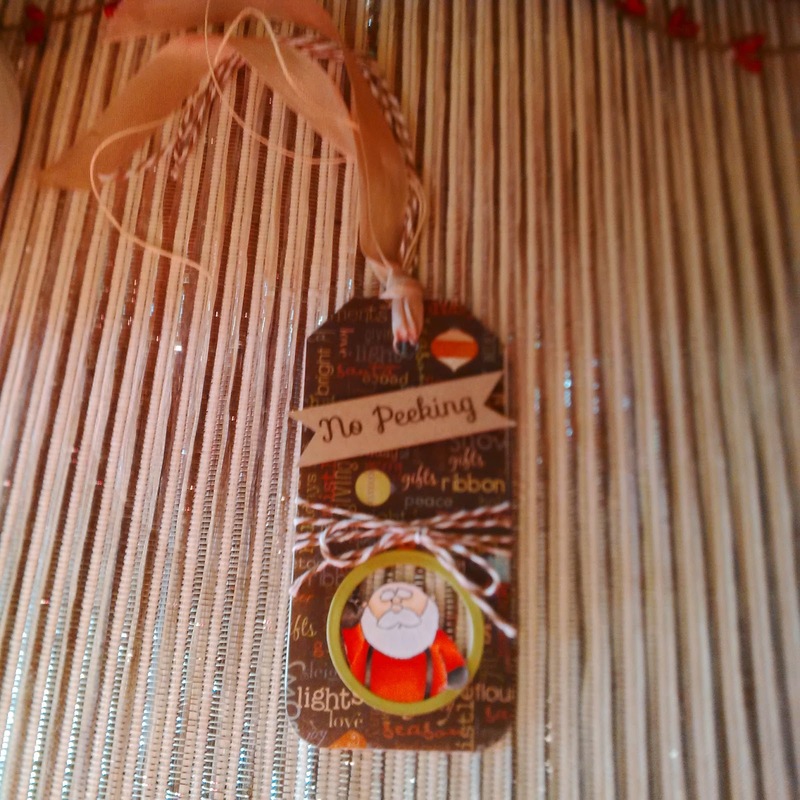 Hey crafty peeps! 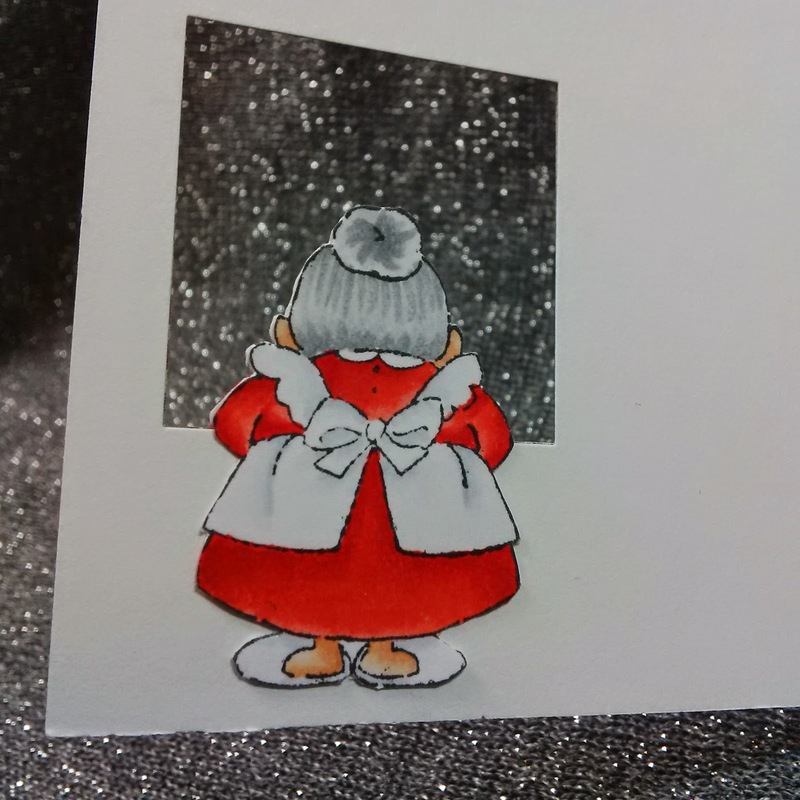 Today I'm sharing a stamp I coloured last week with copics, but done in prismas today. 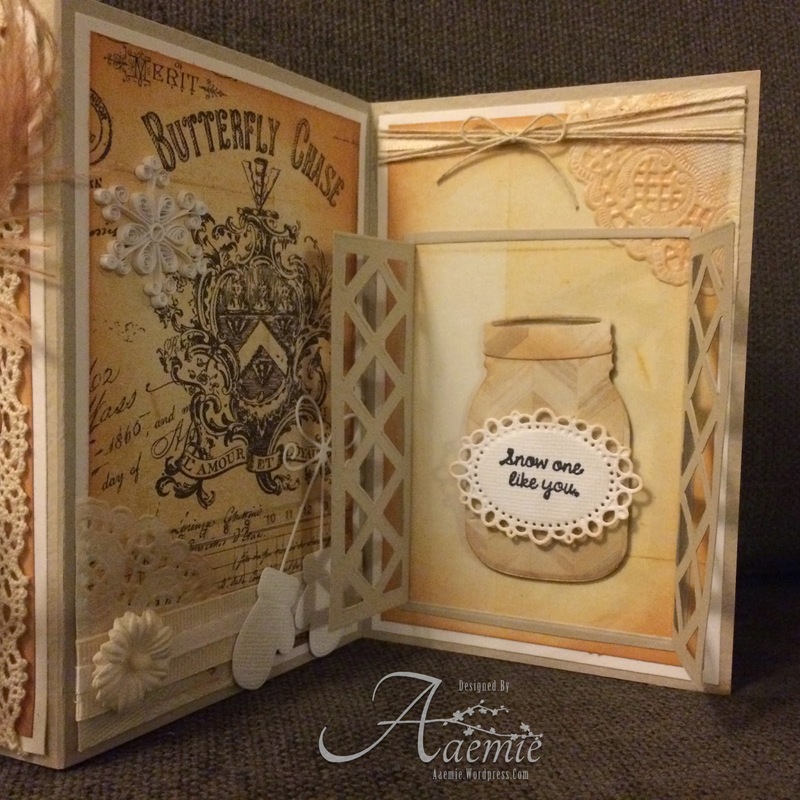 I also used my favourite banner die and new spellbinder sentiment die. Have a great day! 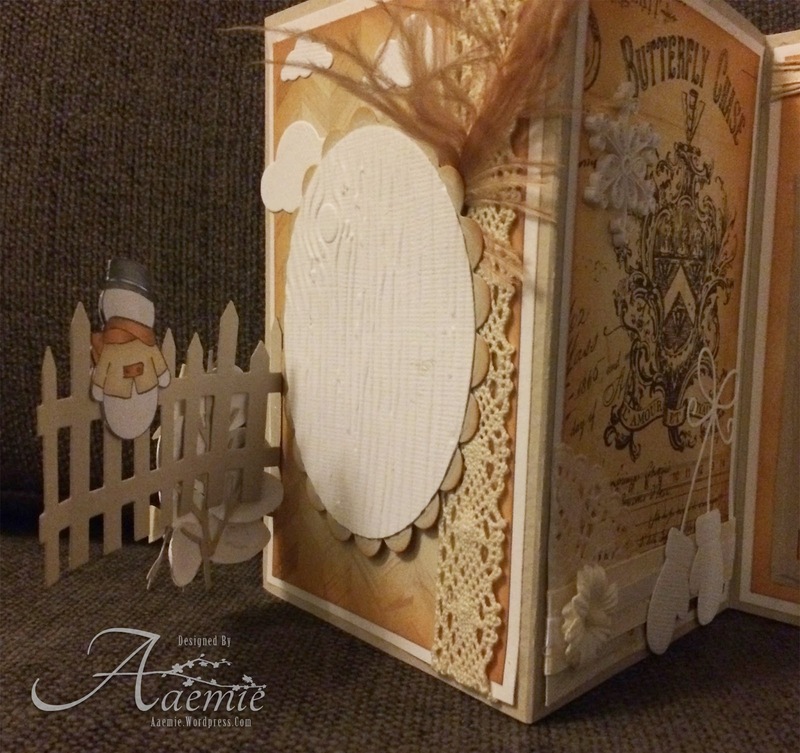 Now come get crafty and join our monthly challenge. Good Morning friends, so happy to share my card for our November challenge here at One Crazy Stamper, this month it is Anything Goes, you still have time to create and enter the challenge. 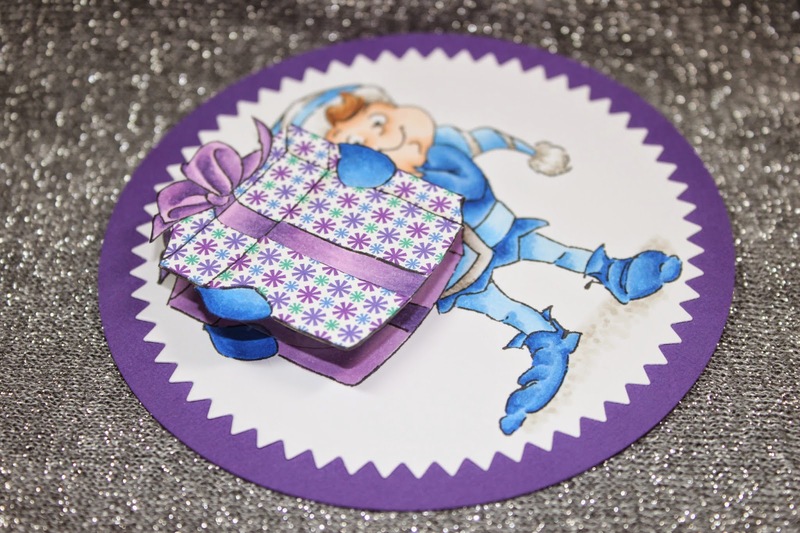 My stamp I am showcasing is from Wild Rose Studio Cling Stamps called Bluebell behind Presents. 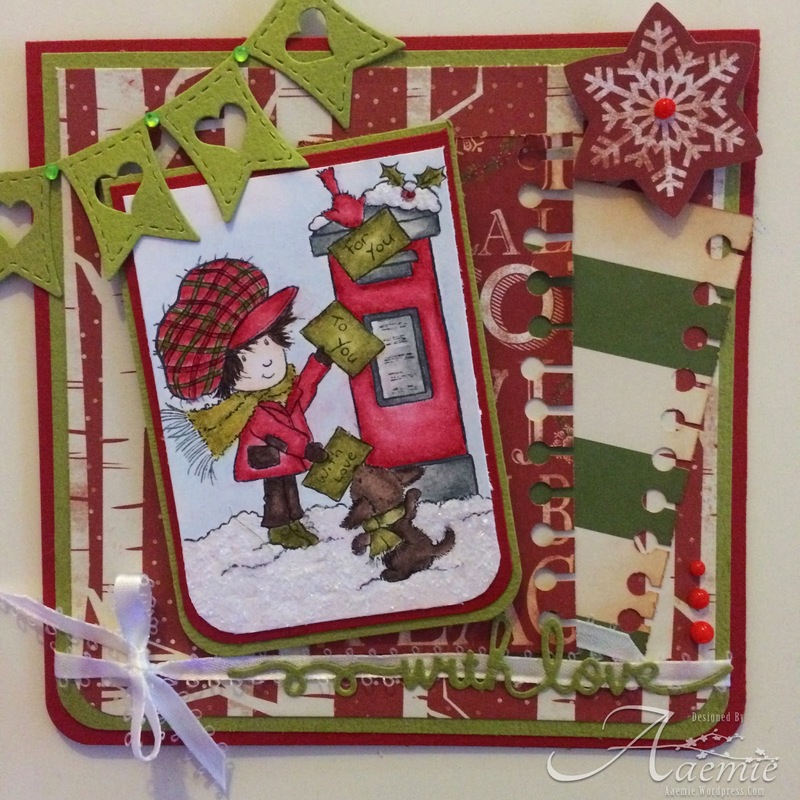 I also wanted to try and do a non-traditional Christmas color combo, what you think did I pull it off? 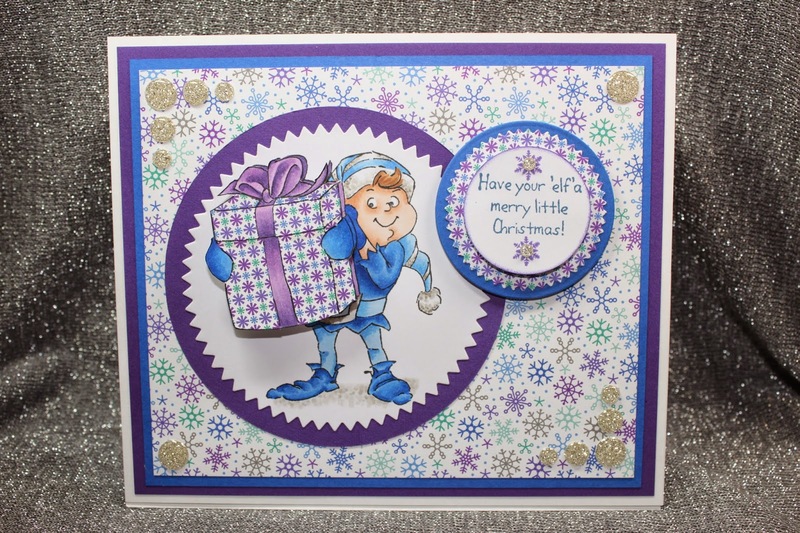 I used spellbinder circle dies and added some blue pearls, I used Copic markers to color them as I didn't have to correct blue. I added a sentiment and popped it up using 3D foam squares. And of course colored the image using my Copic Markers. 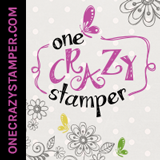 I hope you play our challenge here at One Crazy Stamper and say hello to the amazing design team, and stop by Lora's store always a great way to stock up on crafting supplies. Till next time, hope you get your craft groove on! Cheers! 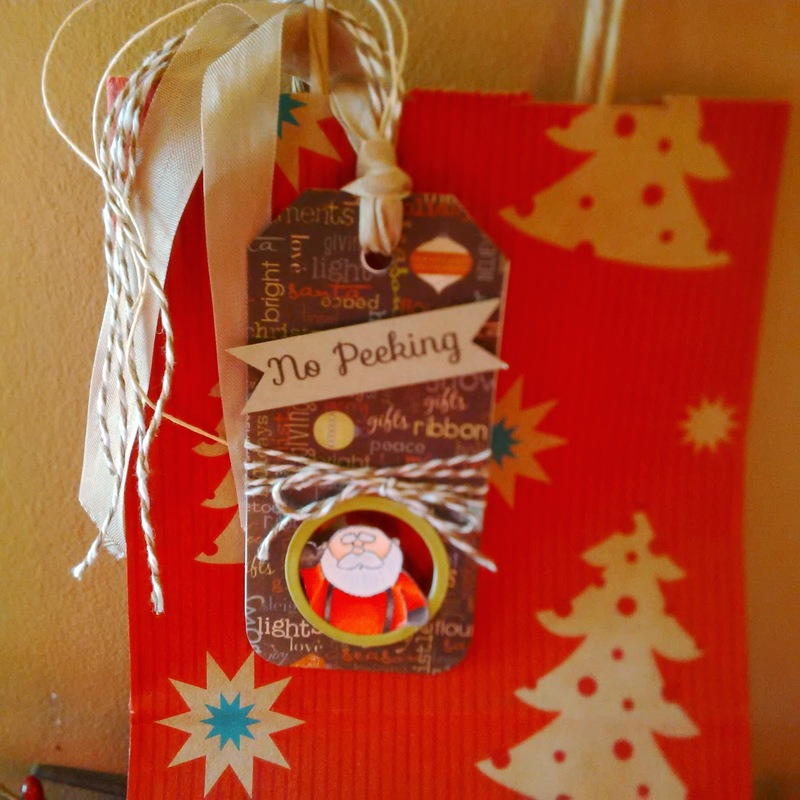 Santa is Watching you - NO Peeking! 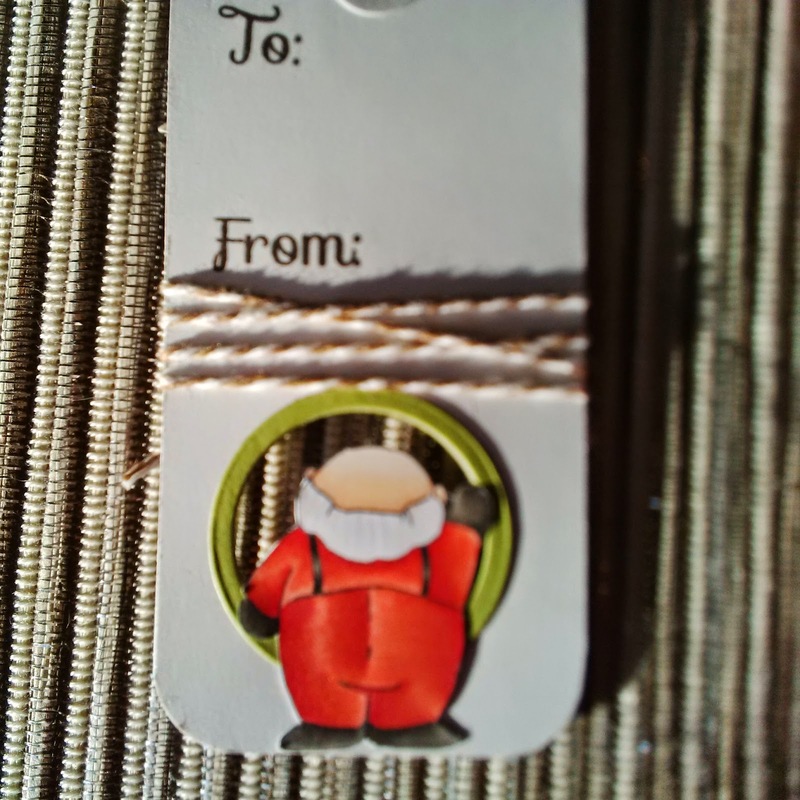 Okay it seems that this month I am on a jingle bell theme, so in keeping with that theme here is my card. 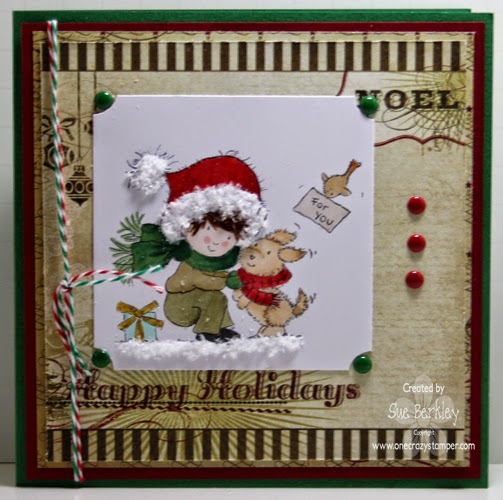 Today I have colored the High Hopes image Jingle Pup with my Copics, then fussy cut it and mounted it on dp from Simple Stories Cozy Christmas Basics collection. 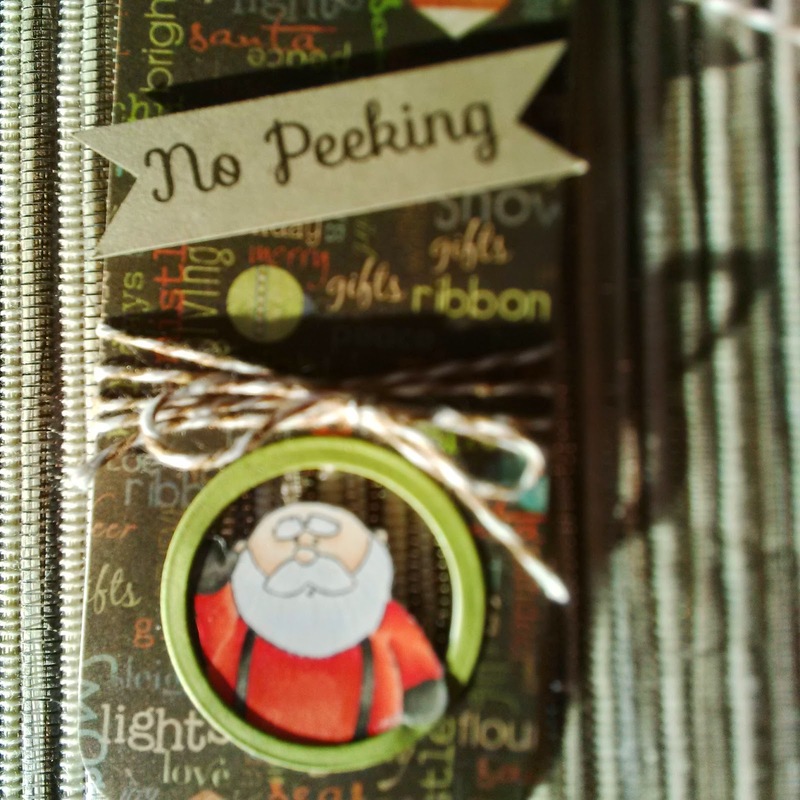 The jingle bell die is from Memory Box and the sentiment is from my stash. 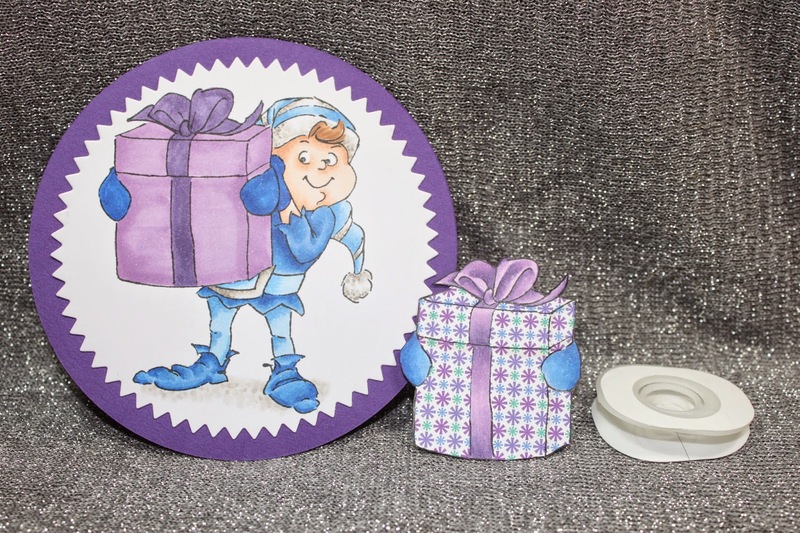 You still have lots of time to enter this month's challenge to win a fabulous prize, so get creative and enter to win! It is Wacky Wednesday and it appears that winter has arrived. At least we haven't had it bad compared to some of our neighbours south of the border. 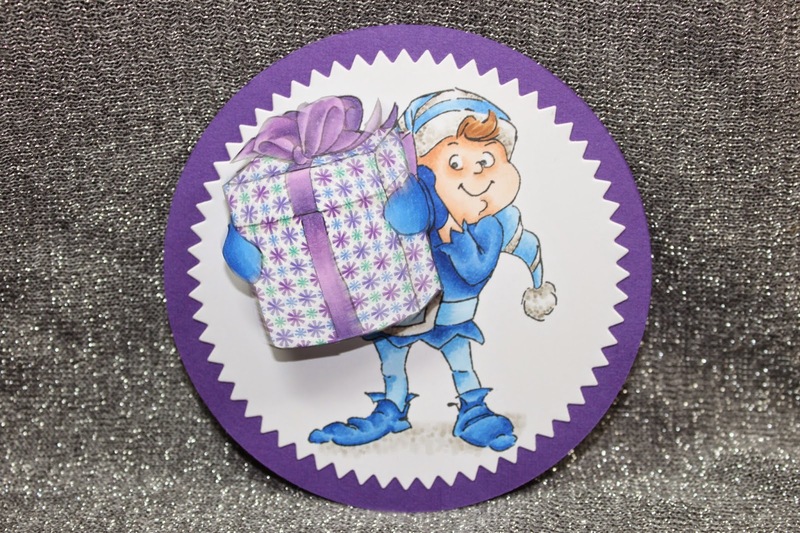 For my OCS post today, I have used this adorable stamp called Bluebell with Saddle from Wild Rose Studios. There is still plenty of time to enter this month's "Anything Goes" Challenge for a chance to win a prize pack from OCS. For all your crafting supplies to complete your project shop at Lora's store One Crazy Stamper; either in person or online. Hey hey! 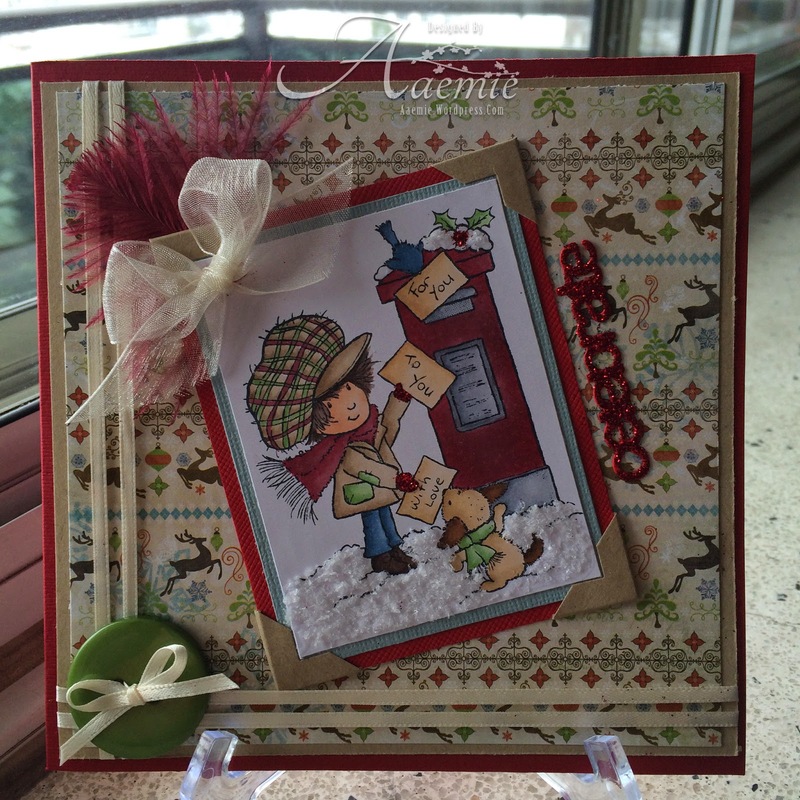 Terrific Tuesday is here, and I'm sharing a cute Wild Rose Studio stamp. I coloured with my copic markers, used some flower soft for the snow and red glitter ritz on the mittens, holly and celebrate sentiment. Enjoy and have a great day! Need inspiration? Check out all the DT's creations for our anything goes challenge this month and enter for a chance to win. Hair-E74, E79. Skin-E00, E01. Clothes-E42,E43, G40,G43,R37,R56,BB5,B97. Dog-E50,E53,E47,E57. 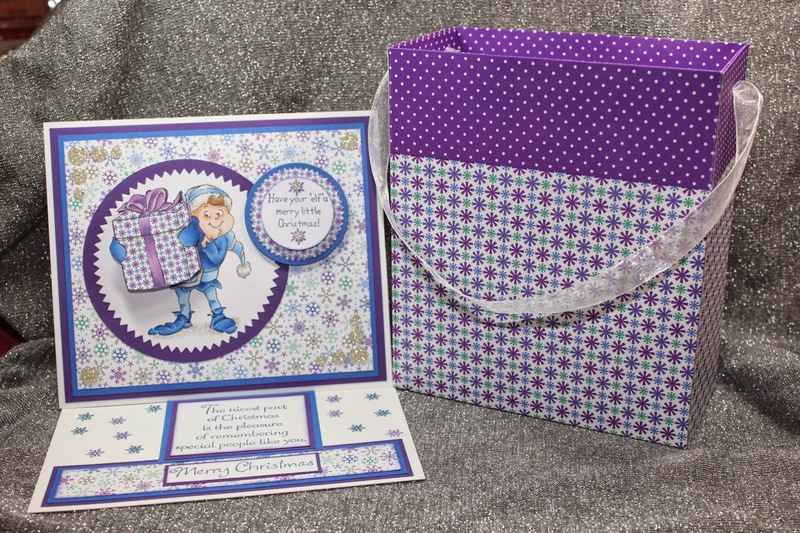 Hope you are having a nice day, I am showcasing for One Crazy Stamper this month this fantastic company Wild Rose Studio Cling Stamps. So awesome they are to color up. 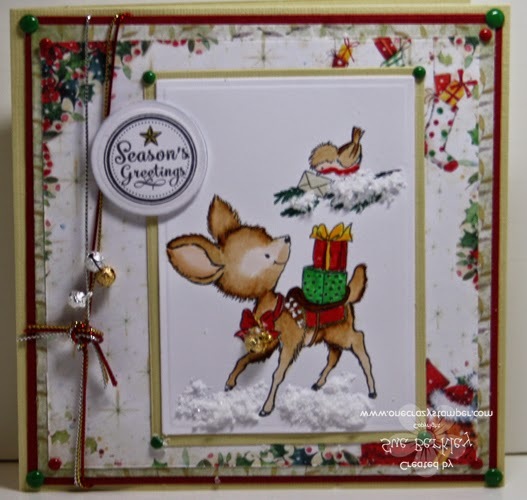 Our challenge at One Crazy Stamper is Anything Goes and I used the image called Bluebell with Robin, and yes my robin is yellow, I realized this after I made the card. I hope you get a chance to get your craft groove on and create something fantastic and enter our challenge. Till next time happy crafting. I hope that you enjoyed today's card and I hope that you will try out these fun stamps! Have I mentioned that I simply adore penguins, and as soon as I see a new image featuring these adorable critters I just have to add it to my collection. Well guess what?!!!! 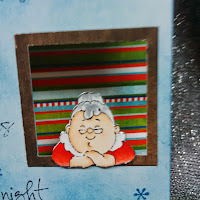 Stamping Bella recently announced their newest images and one of them just happens to have my favorites - this is Christmas Penguins!!! So cute, you can just imagine them strutting their stuff to some Christmas music. Love all the entries for this month's challenge "Anything Goes" at OCS, and there is still plenty of time to enter. For all your supplies to be creative do shop at Lora's brick and mortar and online OCS store. btw, loving all the beautiful entires so for in our monthly challenge. 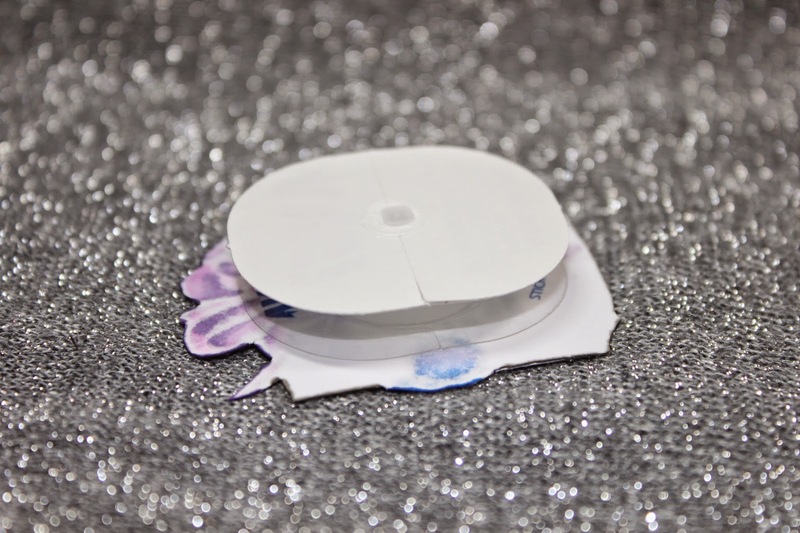 Thanks for stopping by, our challenge here at One Crazy Stamper is Anything Goes this month, and I am showcasing the company Wild Rose Studio Cling Stamps. This one is called Bluebell with Poinsettias. I colored the image using my Copic Markers, and popped the image up using 3D foam squares. I added some Pattern Paper-Simple Stories and then another white card stock. 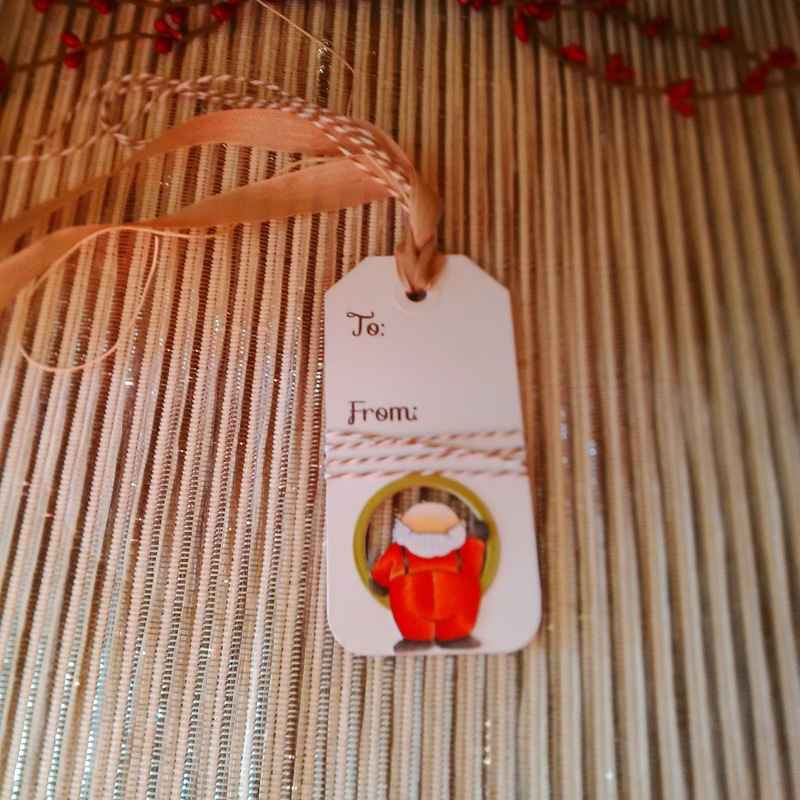 Added a Merry Christmas sentiment and a green ribbon. I hope you get a chance to play in our challenge this month. Also remember to go to Lora's store she has wonderful array of stock. Till next time happy crafting! Cheers!